Installation of solar panels can be conducted on any kind of roof, as long as space and access to sunlight is ample. If you are concerned about the roof strength, then have it inspected by roof inspector. In case damage is located, then it will need repairs, before installing solar system. 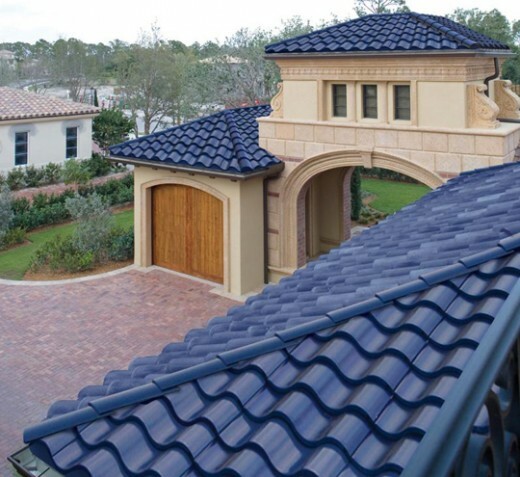 Does roofing material or style make a difference? While installing solar panels, consider the roof angle and direction. Basically, to capture more sunshine, panels should face the South direction, as much as possible. In addition, solar panels must be positioned at an angle very much close to the site’s latitude. These are the two necessities, which do not stop the buildings from solar panel installation. They only have to determine what kind of set up is possible on their location as well as find out its performance, after it will be installed. On flat roofs, solar panels are arranged on free-standing casings, which can be tilted in appropriate direction for better performance. Even the exotic large Mansard-styled roofs can be optimized with an arrangement of performance similar to the free-standing frames. On the other hand, the obstacles that cannot be overcome for installing solar panels are roof surfaces that don’t face south. Such roof types include shed style or sites with improper amount of shading from close-by structures and trees. If your roofs include shakes or Spanish tiles, then expect PV installation costs to escalate significantly. The material is fragile and tricky to walk on. Drilling in them for setting up the stand is a delicate job and takes time. Flat roofs are covered with polyurethane foam, gravel, or tar. Generally, racks holding panels do not need drilling in the roof structure. Concrete blocks are used for keeping the racks stable. Concrete and metal roofs are best styles that accommodate solar panel installation efficiently. With metal, you will have to consider the options of clamping and seaming. Clamping cost will vary because of panel weight and size. Benefits of concrete or metal roofing are its ability to conceal mounting software. Mounting includes drilling and having sufficient footing for the system. This needs to be conducted by professional roofing contractors, so that your roof does not get damaged. Overall cost savings is the main reason to consider solar panel installation. You should not completely deter from gaining advantage in having this system. Besides, you can obtain solar rebates in San Diego as well as attain more efficient heating and cooling inside the home with improved roof protection.